Another way to beat the summer heat is to simply go mall-ing, not the meat loaf brand but dropping by malls. 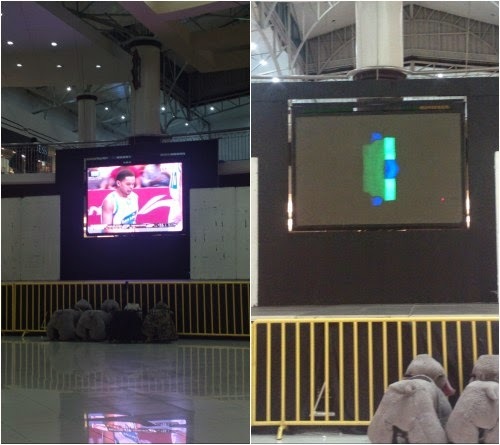 And who wouldn’t like this giant TV screen over CSI City Mall Dagupan? I would. It’s located at the mall’s atrium area and plays local TV channel shows except during commercial breaks where you only see the CSI logo flashing on the screen while waiting for advertisement plug time to end.